Darrin Marriott Plumbing and Heating Ltd is a family-owned and run business based in the west of Scotland, covering the Lothian, Strathclyde, South Lanarkshire and Stirling areas, as well as Glasgow and Edinburgh. With a reputation for friendly and efficient service, our team of qualified plumbers, heating engineers and gas fitters are able to design, repair and maintain gas central heating systems and boilers, and install bathroom suites and showers to help you improve your home and business. Our company is equally split between domestic and commercial plumbing and heating services, with dedicated staff assigned to each aspect to ensure we operate efficiently in both spheres. DMPH have over twenty five years of experience in all aspects of plumbing, gas and heating, and from initial call to job completion you can be assured of our highest standards of workmanship and service. We believe in customer satisfaction, with friendly and knowledgeable staff able to advise on the most cost-effective and safe solution to all your plumbing and heating problems, from replacing a tap washer to designing and installing a gas central heating system. We utilise the latest technologies to produce the most efficient solution, such as power flushing systems, and strive to stay abreast of technological developments at all times. Our qualified gas fitters and heating engineers can service and maintain your heating systems, with the latest condensing boilers being installed to reduce running costs and improve efficiency. The Scottish Green Homes Cashback Scheme offers cash incentives to replace old and inefficient boilers, and our team can advise on this aspect of home improvement and the conversion of systems to utilise the latest green technologies. For all your plumbing and heating needs, from emergency call-outs to repair burst pipes to contract maintenance schemes, you can trust DMPH, so telephone 01355 225224. After having problems with our gas central heating boiler, I contacted D Marriot Plumbing on the recommendation of a friend. Called after 5pm and at 7.45am the next morning an engineer was at the house. 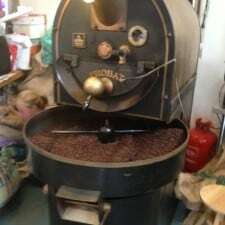 Engineer (Chris) diagnosed the problem quickly and after going to obtain the necessary parts, heating was up and running by 10.30am. Speedy, quick and efficient service. Would recommend this company and will not hesitate to use them again. Darrin Marriott Plumbing and Heating Ltd have built up an impressive clientele with their managed plumbing and heating services for businesses and commercial enterprises. Leading restaurants, shopping centres, clinics, pubs, retail chains, schools, factories and food production units in the western and central areas of Scotland rely on DMPH to manage all their heating and plumbing needs, from scheduled, regular maintenance regimes to designing entire heating systems. Whenever necessary, emergency repairs are always undertaken in the shortest time possible to ensure minimum disruption to businesses and customers alike. DMPH offer a 100% guaranteed commercial plumbing and heating engineer service, with quality workmanship and materials used to ensure complete customer satisfaction. Regular maintenance of commercial premises is a must if businesses are to be successful, and with DMPH contracted to keep your heating systems, kitchen equipment and washroom facilities in tiptop condition, you will have one less facet of your business planning to worry about! Our full service commercial plumbing and heating service and maintenance package can be designed to suit your specific needs, from commercial kitchen maintenance to complete heating installation and boiler repair services. DMPH are also specialists in design and build projects, with planning and construction to code and remodelling of washrooms, bathrooms and kitchens as required. DMPH fully understand the specific needs of our customers, and we pride ourselves on our ability to respond to whatever challenges are thrown at us! 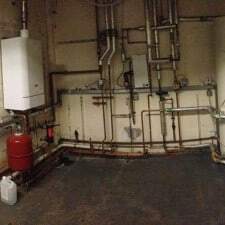 Whether it is maintaining taps, pipework and toilets in schools, or providing zoned heating in offices and factory units, our team of experienced and knowledgeable plumbers and gas engineers will ensure your heating and plumbing systems are functioning at their optimum level for cost-effective running at all times. Telephone 01355 225224 to enquire about commercial plumbing and managed services for your business today! … and most importantly YOU!! 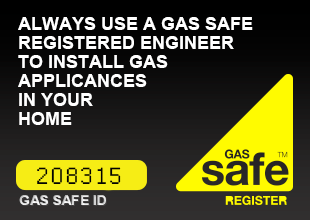 Landlords nowadays have a legal responsibility to ensure their tenants are safe within their rented properties, and are protected from the effects of carbon monoxide poisoning arising from faulty gas appliances, pipework and flues. 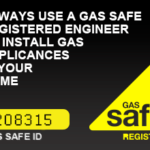 All rented accommodation must pass an annual Gas Safety Test Certificate, the CP12, to ensure gas central heating boilers, cookers and heaters are operating at correct pressures, are leak-free, and working safely with flues transporting dangerous by-products such as carbon monoxide out of the property. To ensure your rental properties are safe, it makes sense to let Darrin Marriott Plumbing and Heating Ltd manage your routine maintenance, emergency repairs and annual certification on your behalf. As a landlord, you can arrange to liaise with DMPH directly for all management services, or you can opt for an agency to work with us if you prefer. Whether you rent out just one flat, apartment or house, or have a portfolio of rental properties, DMPH can provide a complete package to cover all eventualities, from routine planned maintenance, such as central heating power flushing and radiator bleeding, to an emergency response to repair burst water pipes, faulty immersion heaters, leaking radiators, and gas leaks. DMPH can remind landlords when their annual safety tests are due for a particular property and will liaise with tenants as necessary to ensure the minimum of disruption for all concerned. 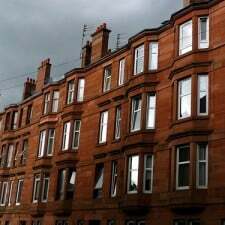 With an enviable reputation for friendly, professional and prompt attention, DMPH have established themselves as a trusted plumbing and heating company for all rental property maintenance requirements throughout west and central Scotland, including the Glasgow and Edinburgh urban conurbations. Enter the sum of 9 + 8 below to prove you are a human.